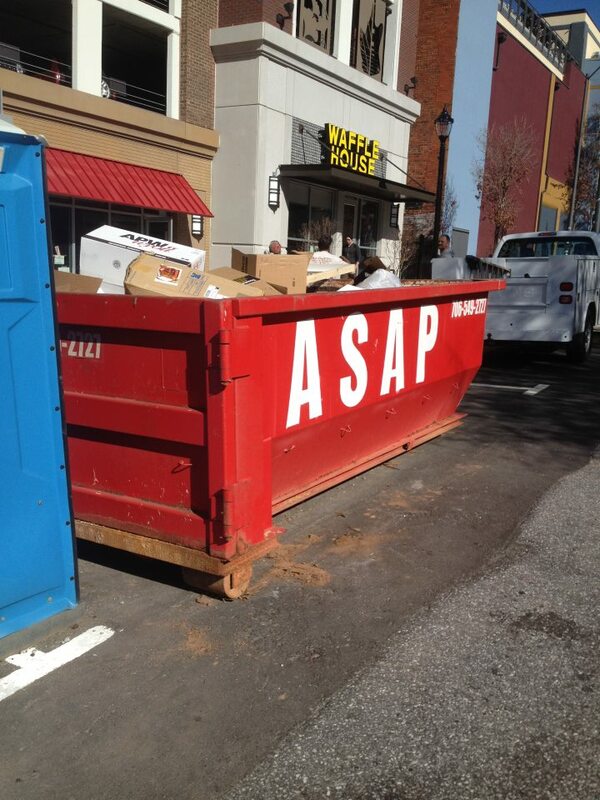 At ASAP Glenn Company, we know that when working on commercial or construction jobsites, sometimes unforeseen circumstances require an immediate response. Not only does our name speak for itself, our clients speak as to our quick response time and the proficiency with which our field staff operates. We have multiple trucks and a large inventory of containers in order to be able to fulfill our clients’ needs. In addition to our large trucks and containers, we also have smaller ones that allow us to fit in tight places to enhance efficiency. Our drivers are skilled at maneuvering around tight areas and are very respectful of others’ property. Upon delivery, the containers will be placed as instructed, or if there are questions regarding placement, directions will be confirmed. We understand that misplaced containers could cause costly problems. Our customers appreciate the helpfulness and patience of our office staff and the thoroughness of the paperwork trail that we can supply if it is ever needed. From delivery confirmation, to third party landfill disposal tickets confirming weight, we always have any pertinent information that you may need in the future regarding the waste disposal of a certain jobsite. Because every job is different, we look forward to speaking with you regarding your needs. Our containers are priced based on location, type of debris, size of container, and duration of stay. See our waste conatiners page for more information regarding these variables or call our office for a price quote today. We pride ourselves in presenting all fees up front. You will not find any mysterious hidden fees when you receive you invoice! See our other services page for information regarding other waste disposal options and services we provide regarding demolition, waste manifests, and various GREEN projects, etc. Charge accounts are available for commercial / construction customers with approval (credit application). Discounts available for multiple job contracts. We also offer portable restrooms! There is no longer any need to establish credit, fill out forms, or build a new relationship with multiple companies. Let us be your complete solution! Dear Girls, ASAP is so lucky to have both of you. You always go beyond the call of duty. You are customer service at its best. Thank you so much for your help. I appreciate great service.